How do you cultivate strength? Robert Graham introduces a fragrance for the mighty – the stalwart, ever unyielding, firm in character and conviction. 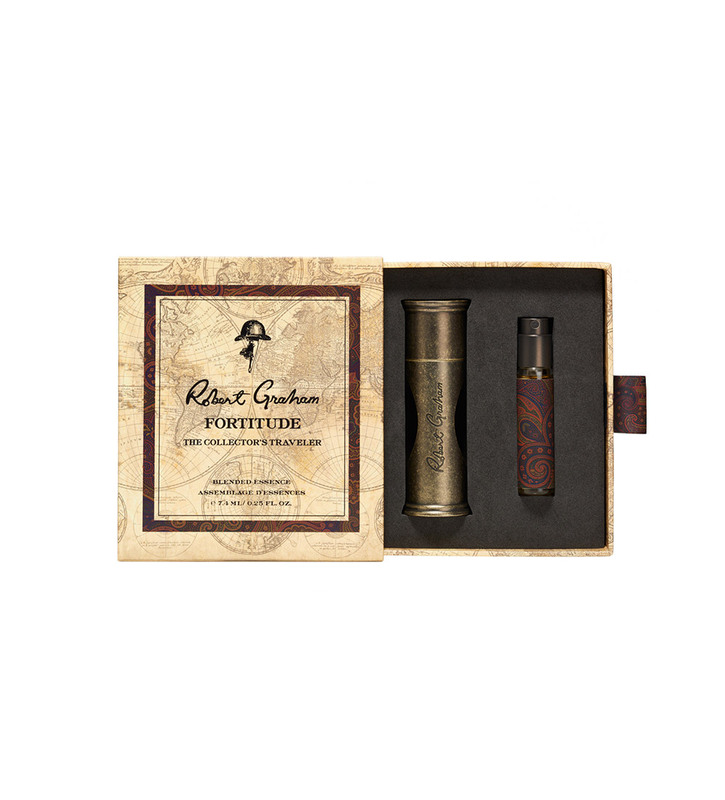 Sensual Tobacco Absolute opens the aroma in a heady top note, giving way to an intoxicating blend of Patchouli and Tonka Bean, evoking the dauntless grit of a time-tested spirit. The Traveler’s Set emboldens you to carry the fortitudinous spirit with you wherever life takes you. Each set includes one refillable case and one 7.4 ml Blended Essence vial.